Rose-Kim Knits: Hey! Where Did My Week Go? Hey! Where Did My Week Go? It's Friday already? This week just evaporated for me. I did get a few things done. 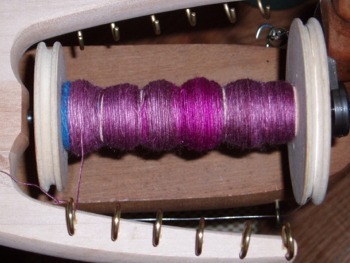 Yesterday I did a tiny bit of spinning with some merino/silk from Chasing Rainbows that I was given at Madrona. 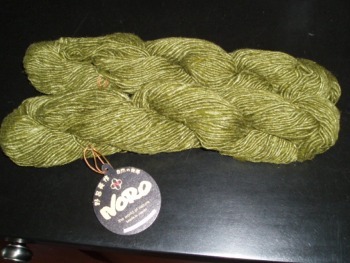 There won't be enough to do anything with when I'm done but it will be a nice souvenir skein. I did a little work on the first sleeve from Durrow. 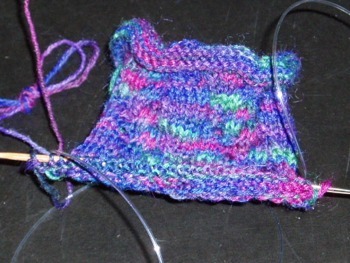 I started my second Sockapaloooza sock. Still impossible to see the pattern. It's not the same dyelot (too much to hope for) but it's damned close. I can't see any difference. 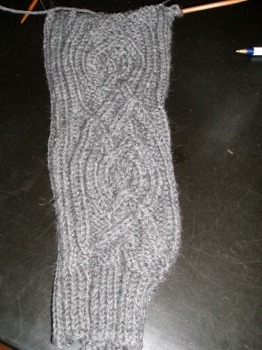 I still have to chart the fronts before I can back to knitting. And lastly, from Berocco, why I don't crochet.